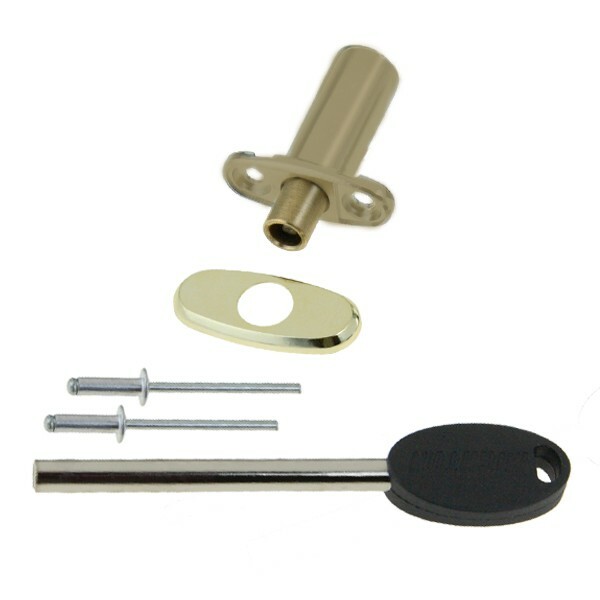 Locking Ventlock for PVCu windows in a Brass finish. This product is designed to allow a sash to be left open a few inches for ventilation without compromising security. Please note this product requires riveting in position.